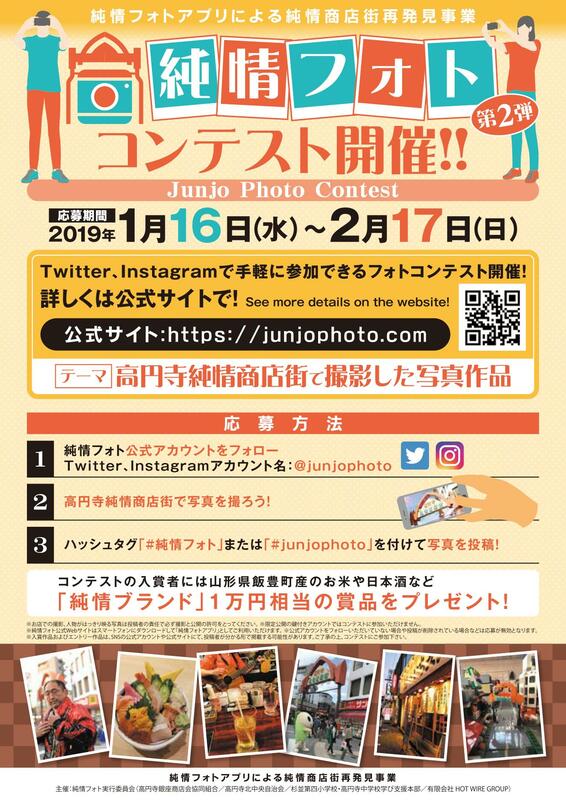 What is the Junjo Photo Contest? 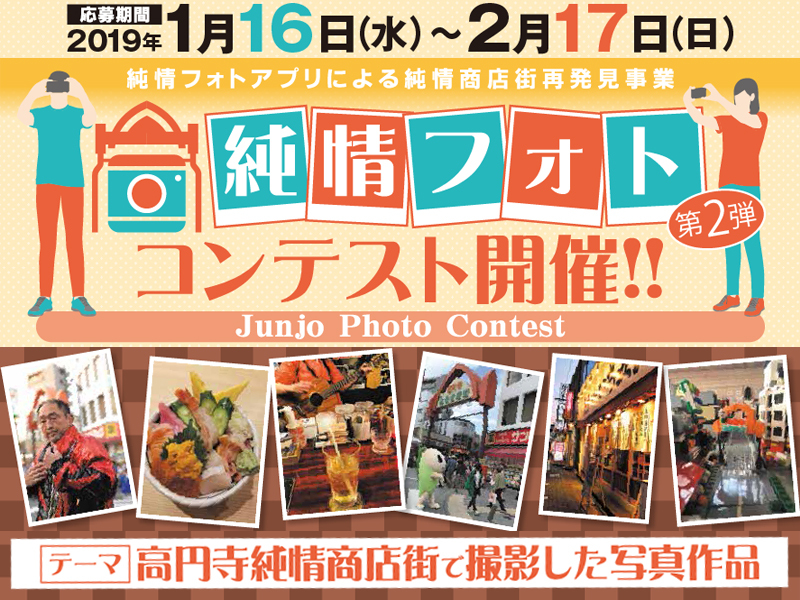 We are hosting the Junjo Photo Contest staged on Koenji’s Junjo shopping street. 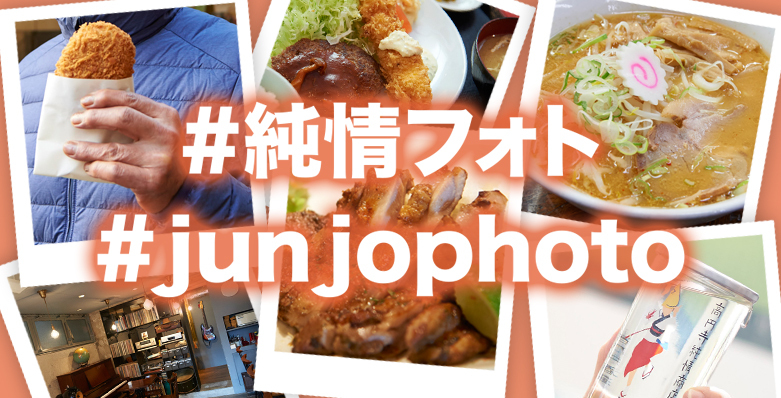 Using your smartphone or other device, snap a shot of the scenery along the shopping street, or capture some of the tasty items available, then share your best photos on SNS with the hashtag #junjophoto. 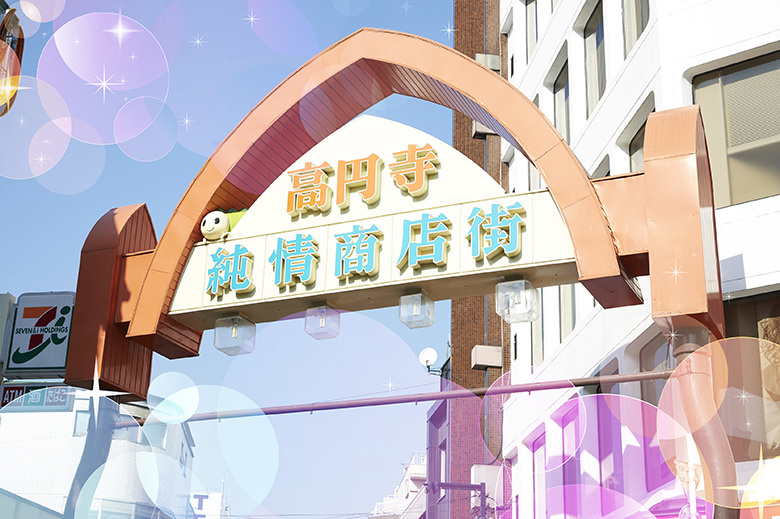 Winners will receive prizes equivalent to about 10,000 yen of Junjo brand products, such as rice and Japanese alcoholic beverages, produced on Koenji’s Junjo shopping street. Please show your enthusiasm and send in your photos. Post on SNS your pictures of the scenery along Koenji’s Junjo shopping street, in addition to food for sale, selfies taken in front of the Junjo Arch, and similar sights. If you purchase something from a shop on Koenji’s Junjo shopping street, it is acceptable to submit a photo of the item taken at home, etc.